Were you considering a prenuptial agreement but were too busy finding the perfect dress, ordering the food and flowers, and planning your perfect day to find the time? No worries! A postnuptial agreement is an option for those who didn’t have time to do a prenup before the wedding or who decided against that kind of agreement but have had a change in circumstances. Similar to a prenuptial agreement, a postnuptial agreement is a contract between spouses that addresses financial and other issues, such as property, liabilities and support. The primary difference is that a postnup is signed any time during the marriage—whether a month or even years after the wedding. Here are some issues to consider to determine if a postnuptial agreement is right for you. Your wedding is a time full of excitement and expectations for your lives together. At that happy time, it’s difficult to predict the future and the unforeseen circumstances that will inevitably occur during your marriage. That’s why a postnuptial agreement may be a preferable option. For example, both spouses may have considered a prenup unnecessary because they had little in the way of assets at the time of the wedding. But if one or both later acquire substantial assets during the marriage, these changed circumstances may make a postnup worth discussing. The recent divorce announcement by Jeff and MacKenzie Bezos highlights the importance of considering a postnup when significant assets are acquired during the marriage. A postnuptial agreement can clarify how assets obtained during the marriage—such as a new house or a business—will be managed upon divorce or death of a spouse. And it can address support and alimony if there’s a career change or decision that one spouse will stop working to raise children. This type of agreement can be helpful to allay concerns about the impact on a spouse of reduced income, disruption to a career path, or lack of individual retirement savings. Postnuptial agreements can also be used to address property rights and preserve assets. Most people are aware that an asset owned by a spouse before the wedding is non-marital property if it remains individually titled to that spouse. However, marital property includes the increase in value during the marriage of non-marital property—such as any appreciation in value of a house or business owned before the marriage or of a separate inheritance. A spouse may want to contribute non-marital assets toward the purchase of a home or other benefit for the family, but ensure that the asset itself remains that spouse’s separate property upon divorce or death. In addition, many spouses bring assets to a second marriage and want to ensure that those assets are preserved for that spouse’s children from the prior marriage. A postnuptial agreement allows spouses to control on their own terms how their assets will be divided and the extent of support obligations. Proactively deciding financial matters such as assets, liabilities and support provides peace of mind and certainty during the marriage. Determining property division and support during the marriage may also reduce the emotional stress and cost of litigation in the event of divorce or death of a spouse. For example, Matt Lauer and Annette Roque reportedly entered into a postnuptial agreement that has been credited with their ability to proceed relatively quickly in obtaining a divorce and to avoid protracted litigation rising from nasty circumstances. Each marriage is unique and a postnuptial agreement can be a valuable tool for spouses when planning their financial future. If you’re considering this option, meeting with a family law attorney will help you understand the law and the options available to address the issues specific to your marriage and family. The opinions expressed in this article are for general information purposes only and are not intended to provide specific legal advice or recommendations. 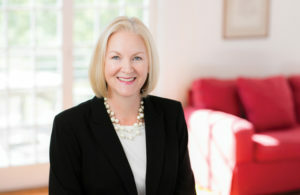 Ashley B. Stitzer handles a variety of divorce, custody, alimony/support, marital agreements and other family law matters ranging from mediating small disputes to complex litigation. She practices in Chester, Montgomery, Delaware, Philadelphia and Bucks Counties. More at MacElree.com.